The Los Angeles Lakers, Inc. 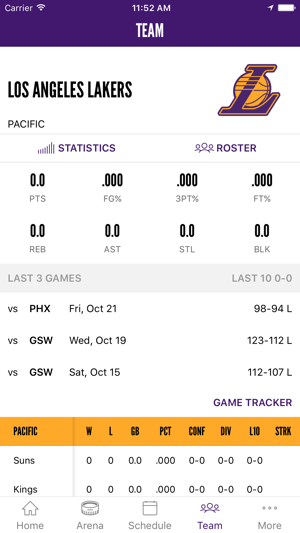 Welcome to the official App of the Los Angeles Lakers. 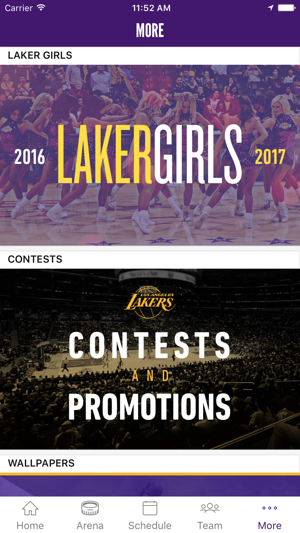 This is your source for all the latest news, scores, schedule, pictures, and other official content from the Lakers, all on the go! 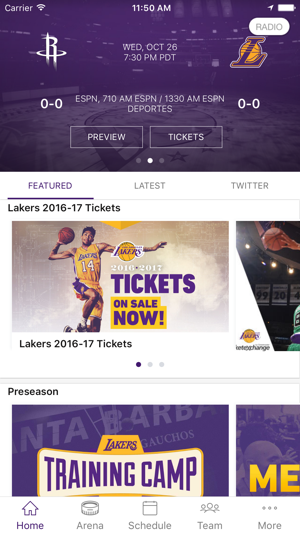 Stay up-to-date, interact with other fans, and buy tickets, all from your mobile device! Download for free today and take the Lakers with you everywhere you go! ∙ Homepage with breaking news, game schedule, and social all in one! ∙ Up-to-date Ticker, which includes News, LIVE play-by-Play, social info, etc. ∙Game Alerts – Receive push notifications for live game events! It’s the best way to follow the game, no matter where you are. Message Center - never miss a message from your subscribed notifications. Lakers Wingman - easily find the current offer on the landing page. Not sure how such a first class organization can put out such a terribly put together mobile app. Everything feels clunky, cramped, and inconsistent throughout the product. Advertisements get in the way of the app functionality and leaves me wanting to not come back. Lots of potential but it feels like the app is trying to do too much instead of focusing on the features that fans come to the app for. 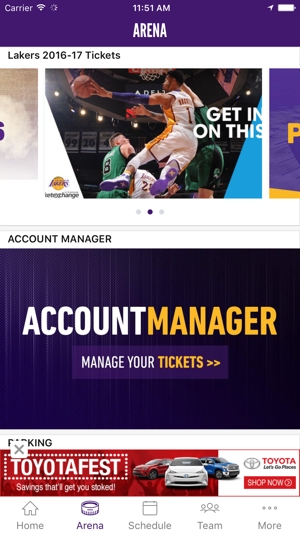 I hope the Lakers get an in-house designer and developer to put create a better mobile experience for fans. Please fix the bingo game. 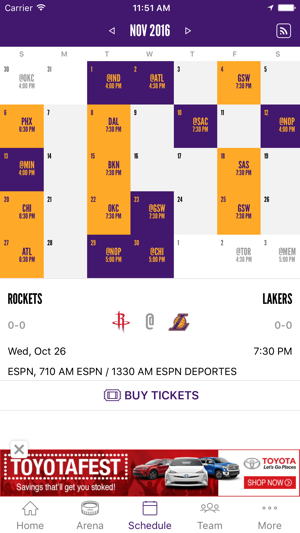 Sometimes when I decide to play but can't open the app at the time the Laker game ends, the bingo game will disappear 30 minutes after the Laker game ended and I lose all my progress. Also make it so it exchanges a square for a player that has just been announced inactive for the game because of injury or other reasons. Review for the interface only. The formatting on the blog posts is really bad with a 3 point article only showing the second and third point and completely blocking the 1st paragraph. The ads are untimely and can be positioned much better. It’s a terrible app that hasn’t put enough time in development.